This title is also sometimes written as Techno Clash. In a world full of magic, a mysterious portal opens, and forbidden machines start pouring through. To stop the ensuing war between magic and mechanics, the wizard Ronann, along with apprentice Chaz and mercenary Farrg, must venture through the portal into the machine world to find the “Machine Man,” who apparently lives somewhere near Las Vegas. 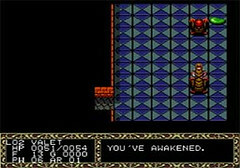 This action RPG is similar to Chaos Engine in perspective as well as gameplay, where players must pick a bodyguard and have a limited number of spells similar to ammunition. After each boss fight, health will be upgraded. It’s got some pretty graphics, and some difficult gameplay, partly due to the large levels. The sound effects get their point across, though the canned screams do get old after a while. If you want an action RPG that’s way more on the action side, look into it. Three brothers lose their father to a necromancer that has stolen a talisman protecting their town. The father’s dying wish is for his sons to seek revenge, and they do so gladly. 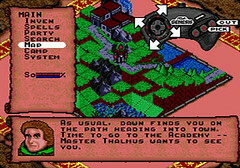 The Faery Tale Adventure is an interesting game, ported from the Amiga originally. 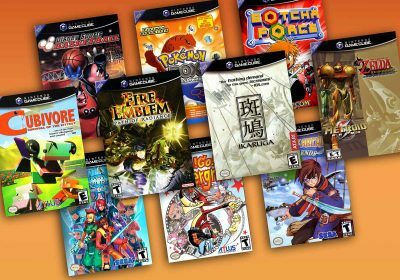 It keeps many of the traditional concepts of RPGs, but twists them. Instead of experience, you gain bravery. A high luck will bring a fairy to resurrect you upon death. A high kindness stat lets you talk to animals. To play each brother, all you have to do is let the current brother die and the next takes his place, though all three have different stats and focuses. The gameworld is huge, claiming to be 300 computer screens both wide and deep. On the downsides, the music is limited, I find the game pretty ugly, and there’s no save feature, just passwords. 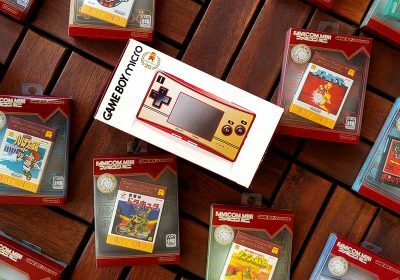 Also, due to its size, you may want to track down the instruction manual, since it offered a mini-walkthrough. You must find the twelve Rings of Power to create the Rod of Creation, defeat the evil Void, and bring about the Golden Age. 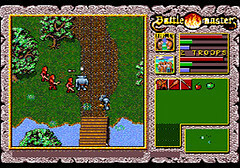 This game is incredibly open-ended, allowing the player almost immediately to explore the full world, with hundreds of NPCs to interact with, a day/night cycle that affects gameplay, and a combat system entirely reliant on magic spells. There’s a lot of meat to this game, including various random events and sidequests, though the game itself lacked any kind of quest journal, and while it did feature a map, it didn’t mark locations. Still, the game came packed with a paper map, so if you can find it, cool. 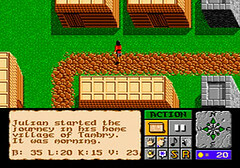 The game also utilized the isometric view, albeit on a playing field that was cut to look like it was presented on a scroll. That’s all well and good, but it makes the gameplay feel cramped and claustrophobic to me. It also doesn’t help that this game is pretty hideous, and the music is pretty bland. I sometimes see this title written as Battle Master. This game starts with the player picking a one of 16 leaders spread across four races. Each leader has different stats and a different party following him, ranging from no followers to four others. The plot of the game has you attempting to find the pieces of an ancient crown to become the Battle Master, as told in an ancient prophecy. To do this, you’ll have to traverse the world, wandering from point to point on a big world map and duking it out with the inhabitants of each locale. It’s typical high fantasy, so expect dwarves, elves and the like. While it’s not the most attractive game, the music’s actually not bad for its release date, and lading a large squad into battle can be fun. 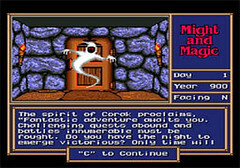 This Amiga port of the second Might & Magic game can be a little intimidating, what with the instruction manual having over 100 pages. It’s an unforgiving, brutal, and frankly pretty ugly dungeon crawler by the console’s standards. But what it does offer is an enormous world, numerous quests, lots of spells and even more weapons and armor to find. It picks up directly after the first Might & Magic, with your party of six adventurers and two NPCs having to find the Orb of Power and the four Elemental Talons for it to save and restore the world. 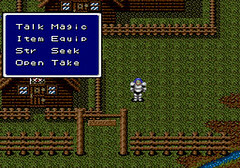 Characters must pick up various skills along the way to manage the adventure, while fighting off large hordes of monsters. And don’t take too long, as characters age and die of natural causes around age 75. If you like dungeon crawlers, are a fan of the series, or just want a challenging game, this one’s something to try. Just turn the sound off. Trust me. Sometimes called only Maten, this should not be confused with Maten Densetsu for the Super Famicom, as they’re totally different animals. This is a typical fantasy-based JRPG in almost every sense, with the only real innovation coming in the form of a day-night cycle. It keeps all the usual trappings of its subgenre, though there is a day-night cycle built into the game. The plot follows a nameless boy found in the woods by a warrior named Zafan. When the boy turns sixteen, Zafan dies, but tells the boy to visit the king and follow the way of the warrior before he expires. So the boy decides to do just that. Visually, I wasn’t really impressed with the overworld, but monsters and battlefields are very well drawn. The music is also somewhat hit-or-miss, with certain tracks coming off very well, and some simply grating on the ears. 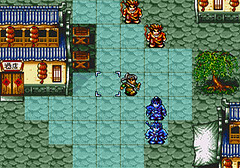 Known as Sorcer’s Kingdom in Japan, this is a JRPG with strategy RPG combat, with the battlefields taking place wherever the party is currently walking. Once again, you play a young man sent out by the king to find why more monsters are appearing in the land and threatening the people. While it’s not a very pretty game, it’s got some great music, and the spell effects aren’t terrible for an early Genesis RPG. Also, keep in mind that only one party member is allowed a round per turn, versus all of the monsters. Sure, it isn’t fair, but it makes for a much more challenging game, and considering how powerful certain characters get at the end of the game, you actually kind of need the limitation. This is a science fiction JRPG, meant for US release under the name of Star Odyssey but never to see distant shores. Apparently the plot has you playing a boy named Miyabi who must travel throughout different planets in the Galaxy Union Empire, doing good deeds. The Blue Almanac in question is apparently a record of his travels. 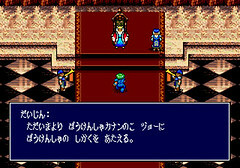 The game’s got some interesting features, including enemies that level with the player and spoken names for the force effects in the game. Graphically, the game’s pretty bland, though cities look ok. Building interiors are pure drivel. The audio is a mixed bag too, with some music tracks I genuinely like, and some sound effects I can’t stand. My favorite part of this is probably the intro, where an alien “reads” out loud from the Blue Almanac in what I can only guess to be alien speech. This is actually a port of Hydlide 3 for the Famicom and MSX. Fairyland is rocked by a sudden explosion as enemies suddenly invade, and it’s up to the hero, Jim, to save the day. The game’s also generally panned because of the poor graphics. It offers tiny sprites, limited animation, and a presentation that likely could have been offered on the Famicom(and was). 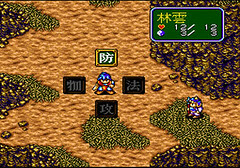 The game also incorporates an alignment system for monsters. Killing good monsters drains your MF stat, with rewards for keeping it high and deadly traps appearing if it reaches zero. There’s also a weight system, and the player is required to eat and sleep, which is pretty amazing for an action RPG of the era. There are a lot of people who hate this game, so you might want to give it a try before purchasing. Also known as Shi no Mekyu, or Labyrinth of Death and originally released in 1990 via Sega Meganet, this is a roguelike RPG with poor visuals, but decent music. There is almost no plot, just a man entering a tower with 30 levels(and no save function) to recover a chalice from a dragon. The game features a food system(you can both starve and die of overeating), poorly chosen sound effects, and little animation for monsters. Enemies move when you do, and defeating monsters will earn higher titles, resulting in higher health and defense. And while levels are supposed to be random, there’s a limit, so after a few runs you’ll likely recognize some of the maps. And then there’s the gold, which serves only one purpose: the more gold you have, the nicer your funeral when you die. Seriously. The title of this game is actually Shuihuzhuan, though it is often referred to as Tiger Hunter Hero Novel. It’s a Taiwan-only strategy RPG, based off the book of the same name, sometimes known in the west as Water Margins or Outlaws of the Marsh. In this game, 108 heroes band together to defeat the corrupt Song Dynasty, in the 12th century. 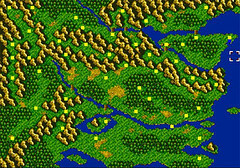 Towns and locales can be explored, though the majority of the game is composed of large battles. This game is also absolutely gorgeous, it’s just a real shame that not much is known about it in the West. It should not be confused with the beat ’em up Shui Hu Feng Yu Zhuan, which was apparently never released. Once again, this is a Taiwanese strategy RPG, sometimes known as Fengshen Yingjiechuan, with gorgeous artwork and some nice magic animations. The plot follows a legend from the Shang Dynasty, where Emperor Zhou fell in love with the goddess of Nu Wa. When he ordered his soldiers to capture her, they informed him of a mortal woman with beauty to rival Nu Wa’s, and captured her instead. Unfortunately, she had been possessed by a fox spirit, and this has lead to corruption and problems in the ruling household. To save China, you must rebel against the royal family. You start as the hero Lin Yuan, and must find the other 8 heroes to help you on your journey. 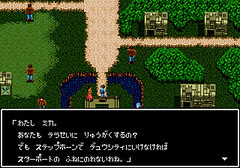 The game focuses entirely on combat and story exposition, with a little travel on the world map thrown in. Once again, it’s a shame so little is known about it in the West. This one’s a Chinese JRPG, again with some quite nice graphics. The title is also often spelled Yase Zhuanshuo. It’s based on the Arthurian legends, though they provide more of a framework than an actual plot. Some kind of evil force has infected King Arthur’s castle, infecting many of the inhabitants and slowly spreading to everyone in the kingdom. You play a young boy named Dilo, whose father goes missing one day. It’s up to you to find out what happened to him. Once again, not to much is known about this title. Expect the usual fair of turn-based combat and top-down exploration. This is a Chinese JRPG from Hong Kong, available in both traditional and simplified Chinese. You play as Liu Bei, Guan Yu, and Zhang Fei as the three attempt to conquer ancient China, roughly around 200 AD. That’s right, if you’re a fan of Romance of the Three Kingdoms or Dynasty Warriors, you’ll have an idea as to what’s going on. 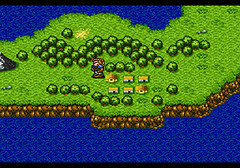 Gameplay is similar to Lufia II in terms of combat, with fights only beginning when you run into an enemy. The game relies heavily on palette swaps for enemies. 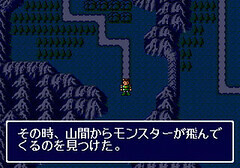 Combat itself is apparently reminiscent of Final Fantasy VI, though with some glitches like damage numbers appearing behind sprites, making them unreadable. The soundtrack is generally pretty good. There’s a few other bugs, but the game is still highly playable. This game is sometimes subtitled as The Space Fighter or The Space Soldier. It’s a JRPG with some nice music and graphics, likely because ultimately it’s a port of Breath of Fire 2 that’s been hacked to Hell and back, with sprites and art from other games thrown in. If you’re really interested in the game, the entire thing can be watched in a 55-part speed run on YouTube. The Russian version is known as Barver Battle Final Fantasy: Russian Version. For one reason or another, these titles just didn’t make the cut to be put into a list of RPGs. That doesn’t mean that these are bad games whatsoever, just that there’s some kind of discrepancy that led to their being put here. Ok, yes, this one’s definitely a JRPG. I’m just putting it here because, as of this writing, it has not been released yet. Frankly, it looks absolutely amazing, with some incredible audio to match. 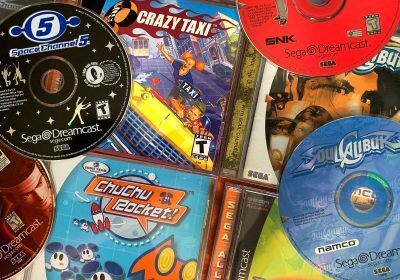 To improve the music further, the game will release with am audio CD for Sega CD, providing even higher quality tracks. I don’t know details of the story, and even if I did, I wouldn’t want to reveal them anyway, since it might spoil the surprise. But take heart and keep watching their website, www.piersolar.com. And if anybody from the Water Melon team read this, we’re looking forward to your game and keep up the good work. It’s a shame this Capcom game has been lost to time, as this is a direct port of a great side-scrolling action title. King Chiki Chiki, ruler of Alurea, is happy to discover his wife has given birth to twins. Unfortunately just a short while later, his kingdom his crushed by the invading army of the evil clown Riepohtman. The king takes his family and hides away for several years, allowing his boys to grow old so that they can take back Alurea and take the clown down. The game allows the player to pick which of the two boys to play, and with both are similar, one’s better with swords while the other enjoys magic. The game is obscenely cute, with extremely bright visuals as well as sound effects and music to match. This is a direct port of the NES version of the same name, which was ultimately a clone of The Legend of Zelda(and again, an adventure game to me). And direct port is correct: nothing was updated, so expect NES-quality graphics and sound. Also, it’s a Wisdom Tree game, so expect having to convert pagans and answer Bible questions. You play a soldier in the Army of the Lord, sent to acquire all the pieces of the armor of God. Truth be told, I enjoyed the NES version(there’s a scene where you have to wander through a gang war that I always liked), but not for the Genesis. This just feels lazy to me. Also, the game is saved with a password system, so even that feels a bit tedious. 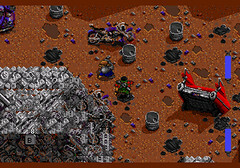 This was a space-based strategy game, originally designed for the computers of its age and ported to the Genesis later. You must discover the secret of the Crystal Planet, a large object moving through the galaxy that causes stars to flare and destroy entire solar systems. To do this, you have to recruit a crew of aliens, complete various investigations for the Old Empire, and travel through space doing various kinds of jobs. Also, you can upgrade your ship, engage in dogfights, explore the universe, and even colonize planets, which you can ride around on in an upgradeable ATV. As far as space games from the era go, this one’s a real winner, so if you’re looking for something along those lines, find a copy of Starflight. This is a real time tactical game, not quite on the scale of an RTS but definitely getting there. The player is in charge of a corporation interested in completing such jobs as rescuing captured friends and employees, finding scientists and civilian workers to serve it, or conducting assassination missions while killing the agents and destroying the resources of other corporations. Yep, it’s cyberpunk alright. To do this, you lead a team of four cyborgs, armed to the teeth and in possession of various mechanical upgrades, through an isometric cityscape. The graphics had to be toned down a bit from its computer brethren, but the game’s still an enjoyable title, definitely worth looking into. Similar to Chiki Chiki Boys, this is a side-scrolling platformer with heavy RPG overtones, little plot beyond “save world from monsters,” little animation, and poor sound effects. Yet the visual images are wonderful, and the soundtrack does a good job of matching up each locale. There’s also a handful of items to help you fight, including a shield you actually have to pull out to use, and the game’s apparently quite fun. It’s also pretty short, so don’t expect a major time sink, which is nice for all of us who have other things we should be doing. Dear god. I had no idea. 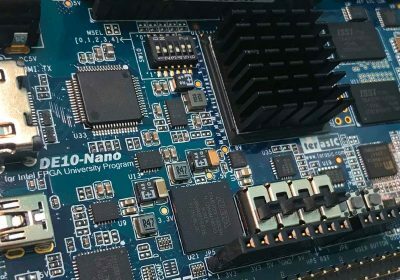 wow, when i saw there were two parts to this, i didn’t think it would be this big and this in depth! very nice! What an ÜBER AWESOME article!!! Oh, no. More games that I’ll have to buy but never have time to play! Rings of Power was stupidly hard, (and the music was brash and horrible) I can’t imagine many people completed it back in the day before walkthroughs, I’m still not sure I could complete it now to be honest with you. @Ziggy587: Same here. I want to check out some of these titles, but probably shouldn’t, since I still have 66 games to beat. That is the woe of all collectors, as one of my friends would put it. In the US, Soleil was known as Crusader of Centy, espeso123. It’s the second game in the Honorable Mention section. Yeah, probably should have, but I did mention the title that came before it, Wonder Boy in Monster World, which is the US name for Wonder Boy V Monster World III. But why then did you choose not to include Monster World IV? With your loose definition of RPG, it definitely qualifies, and not even HMing it is puzzling to say the least. Oh and Hybrid Front is missing as well. Seems like a great game, on par or better than Vixen. I considered including Hybrid Front, but after some deliberation, I figured it was too much of a turn-based strategy game. Perhaps an honorable mention would have been better. As for Monster World IV, since the Wonder Boy and Monster World games overlap, I got my numbers confused, hence why it didn’t end up on it. Perhaps you’re right about Hybrid Front. I don’t know japanese so my experience with it is limited. All Monster World games except the first one (Wonder Boy in Monster Land) could be considered ARPG or Metroidvania, but the naming of the games is a bit confusing I agree. And you had trouble classifying E.V.O. as an RPG? Some of those are a bit of a stretch. Nice job being comprehensive, though. This goes to show that the Genesis actually had a respectable RPG library. 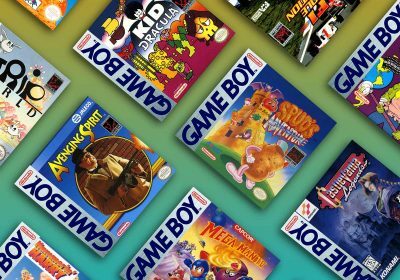 It pales in comparison to the SNES RPG library (which is arguably the best RPG library of any console), but it’s not as non-existent as some make it out to be. Some great games, with one I wish was mentioned….Light Crusader! It’s an isometric romp in the same vein as Landstalkers. Hey Metalcrack, Light Crusader was on the first page. i already saw most of this games, and a lot of them are extremely incredible. 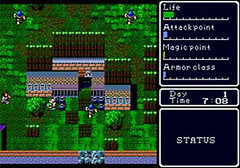 The best RPGs of Genesis are: Phantasy Star IV, Beyond Oasis, Crusader of Centy, Landstalkers, Uncharted Waters 2, rent-a-hero and dungeons and dragons. There’s still ones untranslated. and there’s Pier Solar, who probably will be overwhelming. I strangely loved Rings Of Power and completed it a few times using the walk through contained in the manual. Your right that the graphics and sound were awful, but there was something strangely deep about it. On the other hand Shadowrun was brilliant and deep, great game and great graphics! Also enjoyed Y’s, Light Crusaider, Kings Bounty and Arcus Odyessey – which strangely enough i bought and enjoyed for my Pal mega drive. Was the cart a dual pal/ntsc? Sigh.. so many great RPGS !! 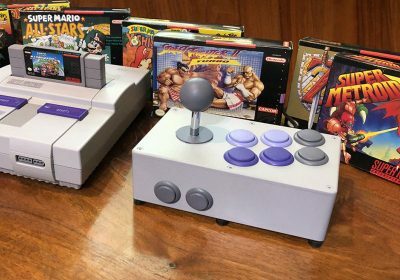 I can’t believe these games came out on the same system as Mortal Kombat 3; too often, the graphics remind me of the NES.